Are adorable “mini sheep” part of the future of environmentally friendly production of wines? At Yealands Estate on the South Island of New Zealand, the largest carbon zero winery in the country, one of the green practices implemented is the use of rare babydoll sheep imported from Australia to “mow” the vineyards. The small, fluffy “mowers” are too small to damage the vines, yet they provide ample returns for the vineyard in the avoidance of mowing and chemical spraying. According to 100% Pure New Zealand, Yealands Estate (established in 2008) is operating twice as efficiently as the New Zealand industry standard—in a country already known as one of the world’s leaders in sustainable viticulture. Last southern hemisphere summer, I had the pleasure of cycling and tasting through many of New Zealand’s finest wine regions, from Marlborough to Central Otago, and time and time again I was impressed with innovative techniques utilized by vintners with exceptional respect to the planet. The Sauvignon Blanc was damn tasty as well. As wine producers (and imbibers) the world over become more aware and concerned over the environmental impact of the production of the delicious fermented grape juice that we hold dear, more vineyards are adjusting their methods to lessen the strain caused on the surrounding environment. Here are 5 world leaders in sustainability in wine production to visit on your travels. When Peter Yealands established his winery in 2008, he announced his intention of attaining the distinction of “most sustainable wine producer in the world.” His flock of mini sheep is just one of a multitude of environmentally friendly initiatives he has implemented at his South Island vineyards. The Yealands Estate is not only the world’s first certified carbon zero winery, its vintners also engineered the world’s first vine pruning burners as a constantly-renewing energy source. The use of prunings for energy production eliminates over 100 tons of greenhouse emissions per year. 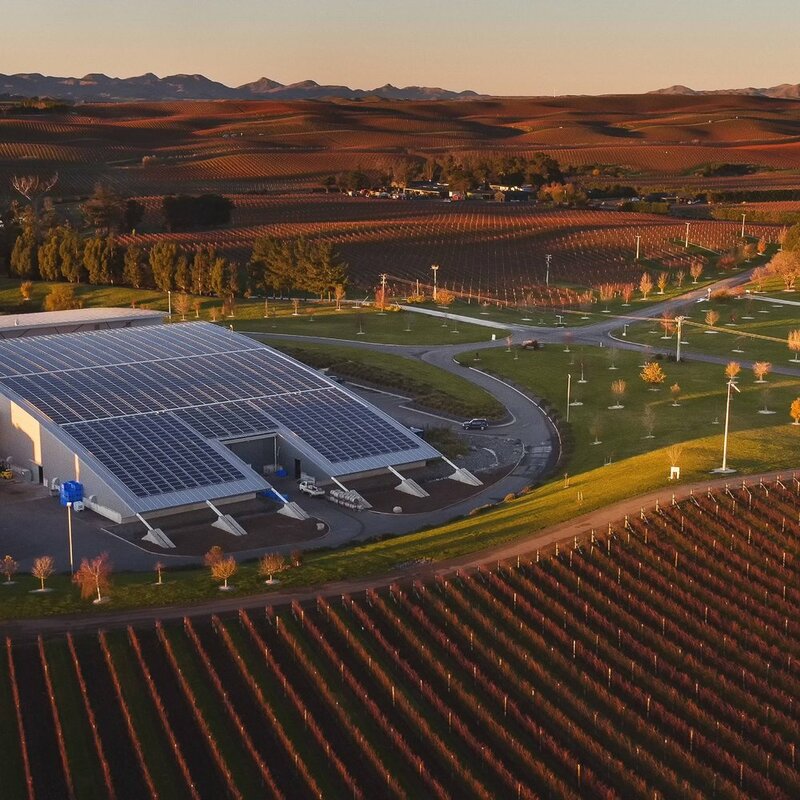 The Yealands winery additionally takes full advantage of the abundant Marlborough sunshine, boasting one of the largest systems of solar panels of any vineyard in the country. On a property established by the Stoller family in 1943 and planted into a vineyard in the 1990s, great strides are being made toward sustainability and minimizing environmental impact. Ten years ago, Stoller was named a LEED Gold certified winemaking facility—the first vineyard in the world to receive this distinction. 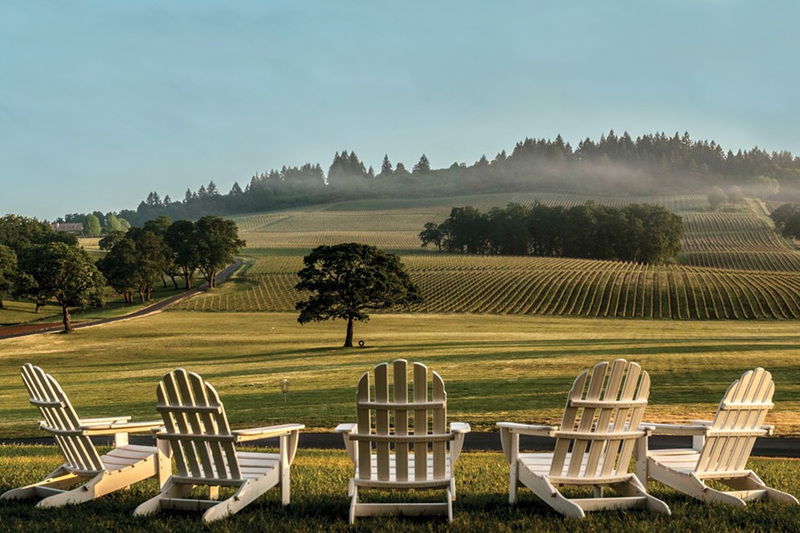 Stoller’s use of old-fashioned winemaking practices that are gentle on the environment paired with the winery’s progressive design puts the winery at the forefront of sustainable viticulture in the United States. Gravity flow systems dramatically reduce the energy needed for production and reduce negative impacts on the environment. Stoller was the first winery in the Pacific Northwest to utilize solar energy in the production of wines. Approximately half of the winery’s energy required for electricity is now produced by its 46 kW solar system. Stoller is one of the founding wineries in Oregon’s Carbon Neutral Challenge, an initiative designed to reduce wineries’ carbon impact and eventually attain the goal of carbon neutrality. On a picturesque 1,000-acre estate in Provence just west of the town of Pertuis, boutique vineyard Chateau Val Joanis operates a 100% organic winery. With a small annual output, organic grapes, and an award-winning organic vegetable and herb garden, the winery eschews the use of any chemicals or fertilizers in its production methods. One of the oldest operating wineries in the world, Chateau Val Joanis defaults to tried-and-true organic production techniques to craft their fine wines. Exceptional Grenache, Syrah, Grenache blanc, and Roussannes are produced utilizing traditional methods that are gentle on the terroir. In a region that is fast becoming recognized as the greenest in America, Parducci Wine Cellars is one of the region’s leaders in sustainability. With almost 4,000 acres of vineyards certified organic and nearly 700 certified biodynamic, the county of Mendocino leads the United States in organic vineyard acreage, according to a 2016 article in MaryGo. John Parducci established Parducci Wine Cellars over 80 years ago with a vision to create small batch artisan wines with methods that would respect the environment and the philosophy of “leaving things better than we find them.” Achieving the distinction of the first carbon neutral winery in the United States through 100% green-powered operations and an innovative water conservation program, Parducci Wine Cellars is continuing to carry out Mr. Parducci’s environmentally friendly philosophy. The wine industry in South Africa is widely recognized as one of the international leaders in wine production integrity. In 2010 the country launched the world’s first “sustainability seal” as a guarantor of eco-friendly production methods. Ken Forrester qualifies for the sustainability seal through every aspect of production, adhering to strict “Integrated Production of Wine” (IPW) standards designed to keep environmental impact at a minimum. In order to qualify for the 2010 sustainability seal, the farm, winery and bottling plant all have to be IPW accredited. Ken Forrester is also an active participant in the Biodiversity and Wine Initiative (BWI), a partnership between conservationists and wine industry professionals in the Cape Floral Kingdom in South Africa, a biological hotspot and the region where nearly 95% of the country’s wine-growing takes place. In less than four years, BWI producers have conserved over 126,000 hectares of natural area, receiving international recognition for uniting agricultural development and ecological conservation in an integrative initiative. These are just a few of the world’s leaders in sustainable viticulture. From Australia to Italy, from boutique vineyards to major producers, production techniques with a bent towards ecological preservation are becoming the expectation rather than the exception. Green isn’t just the color of the winding grapevines any longer—it’s the color of the future of viticulture. Think back on the supreme wisdom of Thucydides and let us continue our emergence from barbarism as we happily (and conscientiously) imbibe. A guide to cycling Tasman’s Great Taste Trail, including notable organic vineyards, craft breweries and cottages.